All EasyDose labels are designed for use with the popular Zebra series label printer, in particular we use the Designer software which installs by default on Windows 7. EasyDose does not advocate that you change settings on the printer from within Device Manager, EasyDose stores settings for label printing within the programme. Implementing settings in the ‘Global Namespace’ of Devices and Printers will impact all users of the printer and it is not necessary to do this in the context of EasyDose. 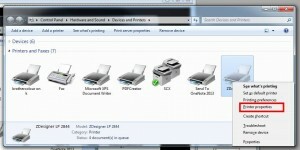 If you are using the ZDesigner LP 2844 under Windows 7 (and probably Windows 8) and you have no other Zebra Driver or Z-Designer software installed, you simply power on the ZDesigner LP 2844, connect it to the computer using the USB cable and allow the Windows Plug and Play system to install the printer. If you labels DO NOT print correctly, please ensure you ONLY USE the ZDesigner LP2844 printer driver. 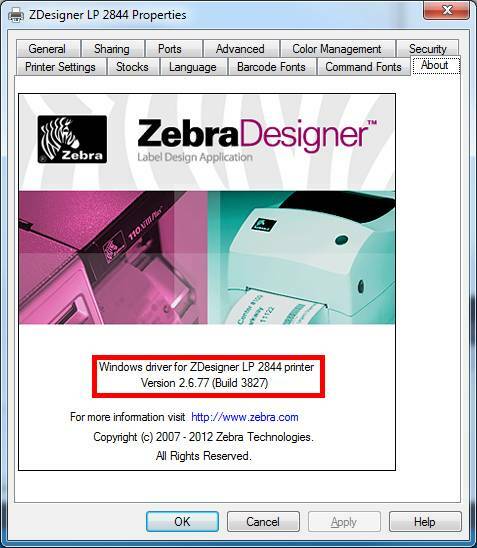 Get your ZDesigner LP 2844 printer driver from the Zebra website by clicking this link.